These are the Recommended Pokemon to look out for at the start of your Journey in Pokemom Ultra Sun and Moon, including the location and why it's good. Magnemite is a very accessible Pokemon early on in the game as it is almost present in various locations. 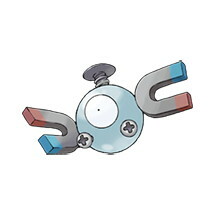 A Steel/Electric type Pokemon, Magnemite is a good pick against Water and Flying types. Magnemite evolves into Magneton at level 30, then eventually turns into Magnezone. Magnezone is a very strong Steel/Electric Pokemon that deals heavy damage with Flash Cannon and Zap Cannon. Magnemite is very common. You may catch him in Route 1 or in Hau’oli City on Melemele Island. Hawlucha is currently the only Fighting/Flying Pokemon. He has great stats in the early stage of the game. Hawlucha can also be a valuable asset against the Island Kahunas Hala and Olivia. Aside from that, Hawlucha can use Roost to restore its HP and remove temporarily remove its Flying typing to adapt to certain situation in battle. 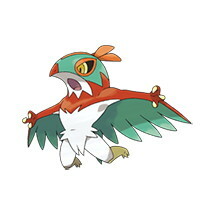 Hawlucha can be found on Route 3 on Melemele Island. It can also be obtained through trading. 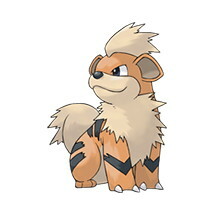 Growlithe evolves into one of the strongest Fire type Pokemon, Arcanine. Arcanine boasts good stats that even matches some Legendary Pokemon. It can also be considered a great sweeper because of its huge Attack and Speed stats. Get Growlithe immediately especially if you didn’t get Litten as your starter Pokemon. You can find Growlithe in Route 2 on Melemele Island. 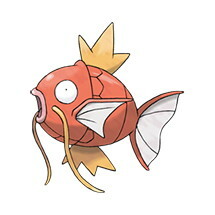 Magikarp is a very weak Pokemon and is mostly thought of as a joke to use in battle. It’s not until it evolves to the powerful Gyarados that players understand how important it is to catch one early in the game. Gyarados is considered to be one of the strongest Pokemon in the game. He is often used competitively and a strong option against most types of Pokemon. Gyarados is also a versatile Pokemon as he can also learn a wide array of moves. Magikarp appears in Routes 7 to 15 on Akala Island. 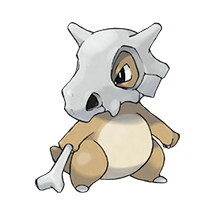 Cubone is a strong Pokemon once he evolves. His Alolan evolution, Alolan Marowak, is a great option against many types of Pokemon. You can turn your Cubone into an Alolan Marowak by leveling up in nighttime starting at level 28. Alolan Marowak resists nine move types, with Normal and Fighting types having no effect against him. Getting a Cubone early is a good investment and can greatly help you in the latter stages of the game. Cubone appears in the tall grass of Wela Volcano Park on Akala Island. Eevee is a good Pokemon to catch in the early parts of the game. Maximizing friendship with Eevee allows it to evolve into Espeon or Umbreon. Aside from that, it has seven more evolutions with each of them having different types. Each one of them has different strengths. Jolteon, for example, has a better attack speed compared to every Eevee evolution. On the other hand, Flareon has the best attack stats. 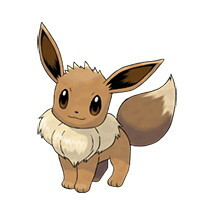 Eevee is a versatile choice because each evolution is unique and can fit any team depending on who you evolve it into. Eevee appears in the tall grass along routes 4 and 6 on Melemele Island.